If you have no idea how you invest your time, you’re probably not investing it in your highest priorities. If you have no idea how you invest your time, you’re probably not investing it in your highest priorities. Start keeping a record of what you do by making note of key activities on your calendar or using a time-tracking application so you can begin to understand where you’re spending your time and where you might need to adjust. Engaging in social media, spending time with others and working can be wonderful things. But if you allow external forces to always dictate your time investment, you’re allowing others to steal your time. Practice saying “no” to what’s not most important to you so that you can invest in what is. Engaging with friends and family can make life more fun and fulfilling, and provide an incredible amount of support during life’s ups and downs. Get activities with those you are close to on the calendar so that you have clarity on your firm commitments. 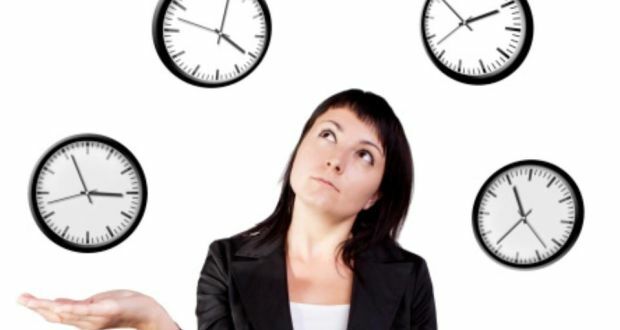 Request time off at the beginning of the year instead of waiting to make a plan later. Otherwise, when “later” comes, you’ll again find yourself never leaving the office because you always feel like there is too much to get done. In 20 years, you’ll end up with a lot of “I always wanted to…” sentiments, instead of a treasure trove of “I’m so glad I did…” stories. Make the decision to builds habits now for exercise and a healthy lifestyle. A little time now can pay off huge dividends later in life. Saving money has its place, but many times spending a bit of extra money can save you hours in your day – and in many cases that time can be invested in activities that are most important to you. It’s so easy to lose track of who you are, what you enjoy, where you are in life and where you’re going unless you purposely and intentionally take time to reflect. That could look like taking walks, keeping a diary, praying or meditating.